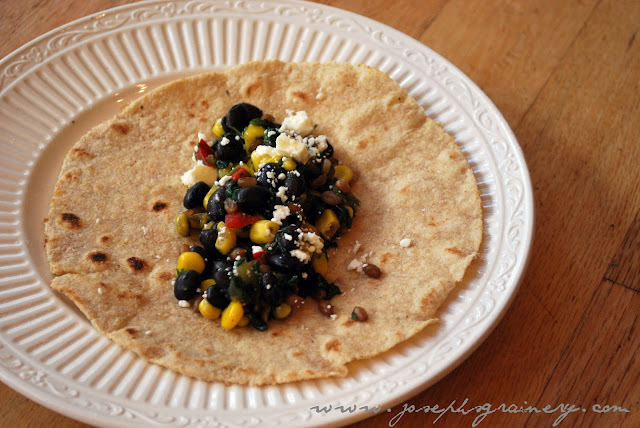 This recipe for Veggie and Wheat Tacos is so incredibly simple and amazingly delicious! These tacos are going to become a regular on our dinner menu. We used the left overs as a dip for tortilla chips the next day and that was yummy too. Easy dinner idea perfect for the whole family. Heat the oil in a large skillet over medium heat. Add the wheat, chili powder, 1/2 tsp salt and 1/2 tsp pepper. Saute the wheat for about 5 minutes. Add the corn and beans, cook until heated through. Add the spinach and salsa, cook until spinach is wilted. 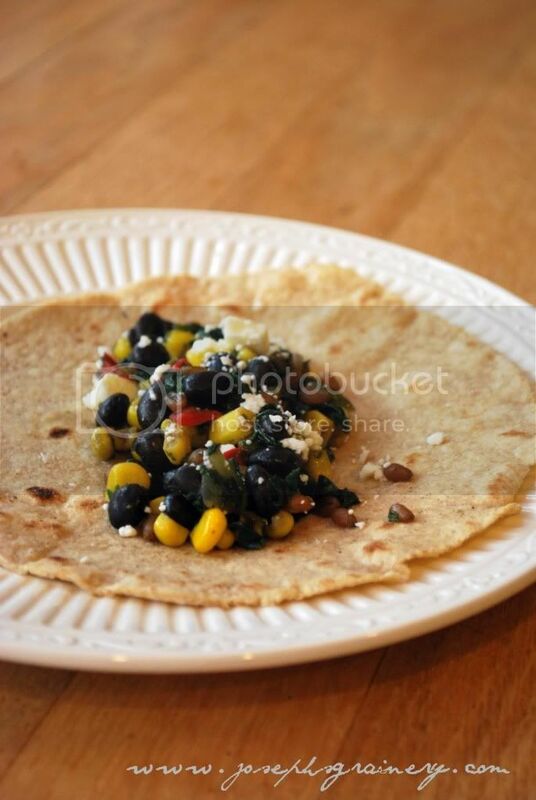 Spread a thin layer of sour cream over the tortilla shells, fill with the wheat and corn mixture and top with feta cheese. Enjoy!